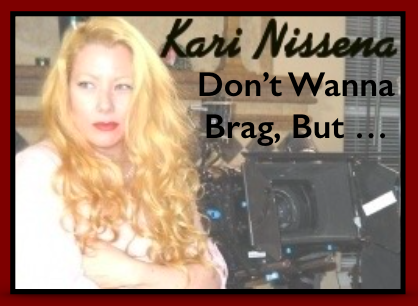 Actors often feel that they “don’t want to brag” yet a big part of an actor’s career is promoting yourself and promoting your work. So what’s an actor to do? First of all, it is important to look at WHY you sometimes feel strange when you have to post that you booked something or have had a career victory. * Do you fear success or worry what success might bring into your life? * Did you grow up with your parents or teachers telling you to be “quiet” a lot? * Did your religious background or childhood environment train you to be “humble”? * Do YOU get annoyed or even jealous when you see other actors successes? There are all kinds of reasons that your past conditioning might be telling you to remain small and to not “brag”. But the truth is, that promoting yourself is a part of your JOB as an actor and it is time to make peace with this part of your career. Here are just a few ideas that you might want to try to make self-promotion an easier pill to swallow. #1 – Share Your Successes On A Regular Basis. Simply put… Just get in the habit of doing this as a regular part of your job. Anything that is new to you might feel awkward in the beginning, but if you put it on your task list to promote on a regular basis, it will start to feel more natural. ~ Try all of them at least once or twice. And you will probably find one that feels like a good fit for you to utilize on a regular basis. Why is that? Because they are simple snap shots of an actors work history. And they are viewed in structured formats that are the same for everyone. So it is definitely worth your time and energy to make your IMDb, Bio, Online Profiles, & Resume as professional and complete as possible. And take time to learn how to do press releases as well. Since they are written in 3rd person, you will not feel funny about self promoting. This is probably the easiest method to do in order to get rid of the “I don’t wanna brag” yuckies. Congratulate the cast and crew of your latest project on Facebook. Tell your Twitter followers how great your director was to work with last week. Repost a film poster to let people know it will be screening at an event. These methods of self promotion not only help your own career, but it helps the people and projects you worked with as well. It can often help in other ways that you are unaware off as well like maybe it helps the film festival that is hosting your screening. Or it helps a production company get more likes. Or an IMDb page to get more views etc… It is all around good karma. “ They can’t hire you if they don’t know you exist! ” So make sure they do!